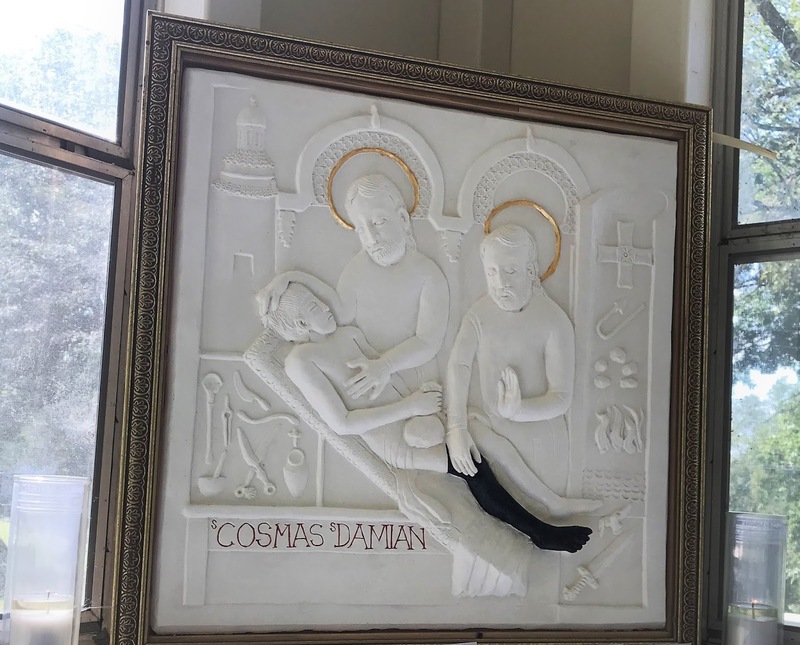 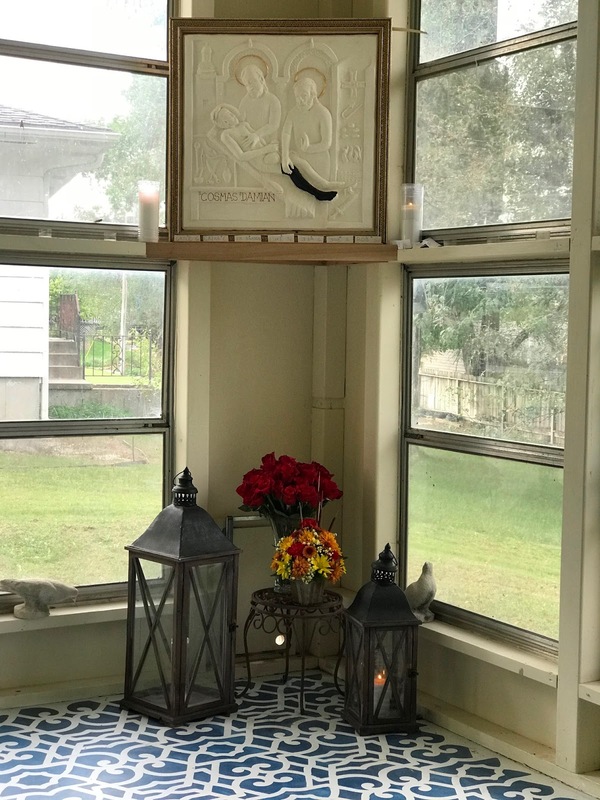 After seeing our post on Ss Cosmas and Damian two days ago, reader Patrick Werick very kindly sent in these photos of a relief sculpture of them which he commissioned after invoking their intercession and being cured of an illness; it is kept in a little shrine dedicated to them in his house. 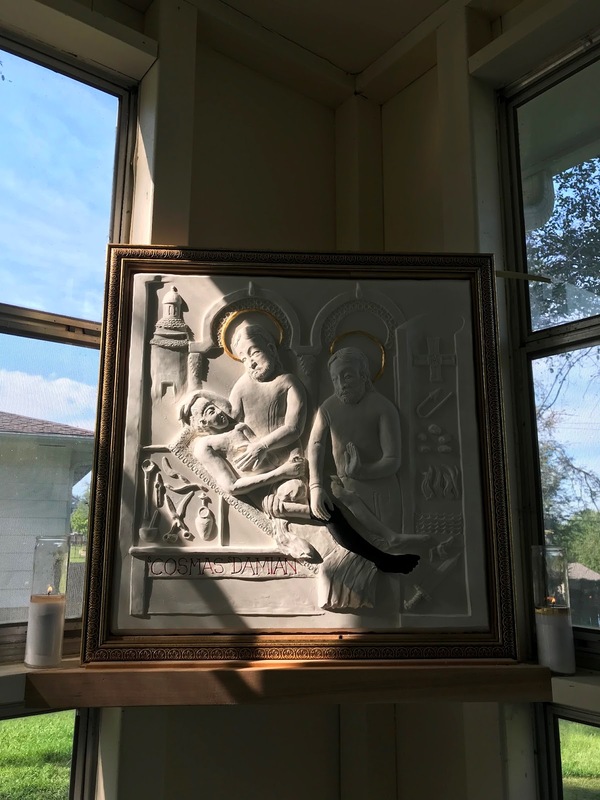 The artist, Becky Quain, sculpted the image out of clay, created a silicone mold, then a plaster mother-mold, and finally cast it in plaster in September of 2017. She applied gold leaf for their halos, and painted in their names, and the black leg of the Saints’ patient. The miracle depicted is recounted in the Golden Legend, that shortly after Pope Felix IV built their basilica in Rome in the year 527, the guardian was afflicted with a cancer that destroyed one of his legs. As he was sleeping one night, Cosmas and Damian came to him, and not only removed the diseased leg, but substituted it with a new leg taken from the body of an Ethiopian, who had died that very day and been buried in the cemetery of the nearby church of St Peter-in-Chains.